Relax... Take the worry out of repairs of with our maintenance plans. Don’t worry from only £6.00 you can avoid this situation. Carbon monoxide poisoning is preventable. Landlords, local authorities housing departments, housing associations, hotel owners and the gas fitters themselves all have a responsibility to ensure that the gas appliances in their properties or that they have worked on are safe. Carbon monoxide is known as the “silent killer”. The gas is colourless, odourless, tasteless and non-irritating, which makes it difficult to detect. 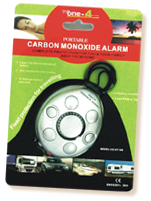 Carbon monoxide poisoning takes place after inhalation of carbon monoxide gas (CO). Inhaling this gas reduces the blood's ability to carry oxygen, leaving the body's organs and cells starved of oxygen. The Health and Safety Executive have found that about 30 people die every year from carbon monoxide poisoning caused by gas appliances and flues which have not been properly installed or maintained. Mild poisoning will lead to headaches and flu like symptoms, together with breathing difficulties. It can also lead to depression and chronic fatigue. In severe cases the toxicity in the central nervous system and heart can result in headaches, dizziness, confusion, convulsions, unconsciousness and even fatality. The only way to determine that Carbon monoxide poisoning is the definite cause of these symptoms is to carry out a blood test. Work carried out on gas appliances should always be carried out by a CORGI registered installer. This registration will ensure that the installer has experience and expertise in the safety of gas appliances. Gas appliances and chimneys should be serviced regularly by a CORGI registered installer. In rented accommodation, the landlord has a duty to carry out an annual Gas Safety Check and must provide the tenant with a copy of the Gas Safety Certificate. Make sure that there is plenty of ventilation in any room with a gas appliance. The chimney and vents must not become blocked up or covered. Install a CO detector with an audible alarm. Via PayPal we can accept all major debit and credit cards. Online payment is fast and secure and you don't need to have a PayPal account. Please note that PayPal will appear on your statements, not Inspector Gas-Elec. Learn more about PayPal and buying safely online.